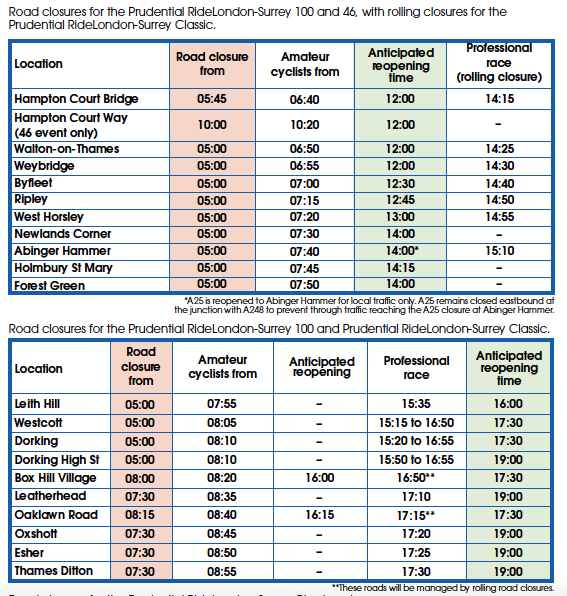 The Annual Prudential Ride London is nearly upon us! 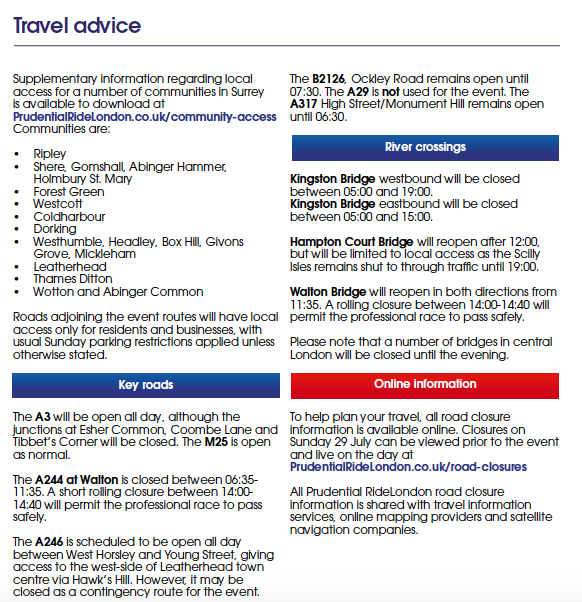 Information on road closures and travel links below, plus other useful links. 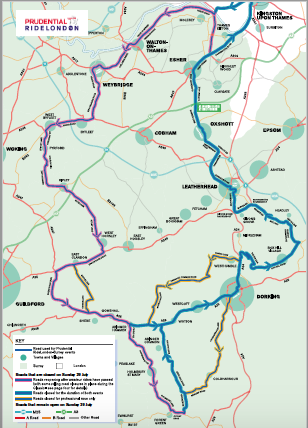 In just a month’s time our Chairman Alan Palmer, will take on the personal challenge of the Annual Prudential Ride 100 event, which comes right through Walton-on-Thames! He will be raising money for Guide Dogs for the Blind, a charity he recalls stuck in his mind for milk bottle appeals on Blue Peter! However, the cause is now much closer to him, as his eldest daughter Laura is a Rehabilitation Officer, assisting blind people in Surrey. As an outdoor loving person he juggles his role as Chairman of WoTTA (Walton on Thames Trading Alliance) with responsibilities as Walton Residents Association Councillor at EBC (Elmbridge Borough Council) and running his own Fire Safety & Training Business with frequent cycling and running.